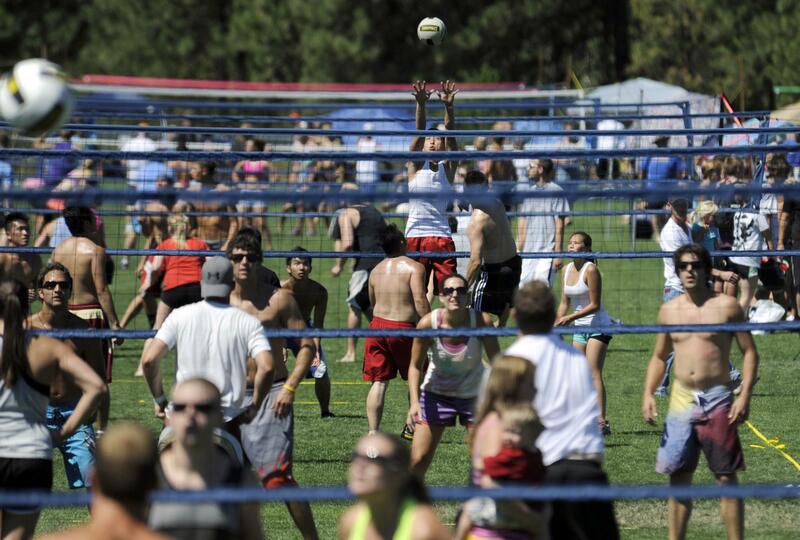 UPDATED: Wed., Aug. 1, 2018, 3:38 p.m.
One of the largest 6-on-6 coed outdoor volleyball tournaments in the world is back. The 27th annual Spokane Spike and Dig tournament returns to the Dwight Merkel Sports Complex this weekend, running Saturday through Sunday. Games begin at 9 a.m. The tournament will feature more than 325 teams and 2,300 players in nine age divisions. More than 600 games are scheduled Saturday. Published: Aug. 1, 2018, 3:36 p.m. Updated: Aug. 1, 2018, 3:38 p.m.